On Thursday, more than 100 U.S. congressmen sent a letter to Secretary of State Mike Pompeo requesting that he reevaluate the end of Temporary Protected Status (TPS) for Honduras, El Salvador, and Haiti. Absent from this list is Nicaragua. As conditions worsen in the Central American country due to a violent crackdown on dissent by the socialist government, will similar calls for Nicaragua's TPS re-designation be made? A foreign country can be designated for TPS due to conditions in the country that temporarily prevent the country's nationals from returning safely or where the country is unable to handle the return of its nationals adequately. These conditions include: ongoing armed conflict, an environmental disaster, or an epidemic, or other extraordinary and temporary conditions. 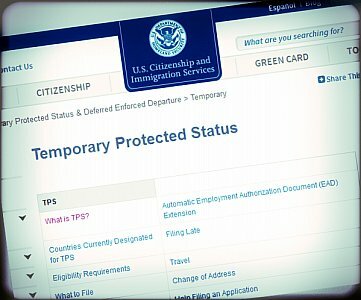 Thus, during the designated period, TPS beneficiaries are not removable from the United States and can obtain an employment authorization document. Moreover, once granted TPS, an individual cannot be detained on the basis of his or her immigration status in the United States. Most TPS beneficiaries are illegal aliens, though some are on nonimmigrant visas, such as students or tourists. Nicaragua was first designated for TPS on January 5, 1999, based on environmental disaster grounds, specifically the devastation caused by Hurricane Mitch. Last year, after 18 years of extensions, the Department of Homeland Security (DHS) determined that conditions for Nicaragua's 1999 designation were no longer met and set the January 5, 2019, expiration date. international solidarity and support for Costa Rica and other countries hosting Nicaraguan refugees and asylum seekers, as thousands of Nicaraguans flee mounting political tensions, violence and serious human rights violations in their country. In recent months the number of asylum applications by Nicaraguans in neighboring Costa Rica and other countries has increased dramatically. Currently, an average of 200 asylum applications are being lodged daily in Costa Rica. Per Costa Rican authorities, nearly 8,000 asylum claims by Nicaraguan nationals have been registered since April, and some 15,000 more have been given appointments for later registration as the national processing capacities have been overwhelmed. Arriving Nicaraguans are being hosted by an estimated 100,000 to 150,000 Nicaraguan families living already in Costar Rica. Panama, Mexico, and the United States have also recorded a growing trend of asylum claims by Nicaraguans during the first half of 2018, with a significant peak in June. However, the numbers in these countries remain in the low hundreds. DHS estimates that there are approximately 5,300 Nicaraguans who hold TPS under Nicaragua's designation. The number is much smaller than that of TPS beneficiaries from El Salvador (262,000), Honduras (86,000), and Haitians (58,000). However, the repression by Nicaraguan President Daniel Ortega has garnered significant attention from the media, general public, and the White House. It will be interesting to see if politicians will call for Nicaragua's re-designation for TPS as the expiration date nears, unrest in the country persists, and emigration flows continue to grow. Nevertheless, if Nicaragua is not designated for TPS again, beneficiaries have other options. They could even apply for asylum, which would add to the recent increase in Nicaraguan asylum applications in the U.S. It should also be noted that earlier this year Nicaragua signed a memorandum of understanding with U.S. Immigration and Customs Enforcement (ICE) and became one of the first countries to partner on the electronic Travel Document (eTD) System. The eTD system aims to streamline and improve the removal process of foreign nationals held in ICE/ERO custody.